At the age of 10, I moved to Chandigarh, and failing to recall much, I must confess that I must have felt a gush of amazement by the markets that were abuzz with names that were not only new but also felt so strangely distant and off the reach. 10 Years a phase and India was transformed from a land of snake charmers to a labyrinth of myriad unexplored opportunities for International Corporations. Now if that were the case of 1 Country, how Marketing would have evolved on a global scale where economies were relatively much more open and competitive without the shackles of license raj. Now that we achieved the first level of Maslow’s hierarchy in our Industrial Outputs, we transcended to ‘Product Oriented Philosophy’, i.e. Industrialists finally realized that, now that competitors are equally competent in producing their goods in an equal or perhaps even more economic manner. Hence a better way out would be to produce better goods? Or atleast add some differing features and claim to be a better product in front of the relatively more aware and choosy consumer market awakening. Then came the era of ‘Selling Oriented Concept’ which marked the beginning of a cut throat competition marketplace which is growing ever since. Companies hired Salesman, loads and loads of them, population growth leads to cheaper manpower. He who knows all, SELLS. Only the scale and the clientele varies. 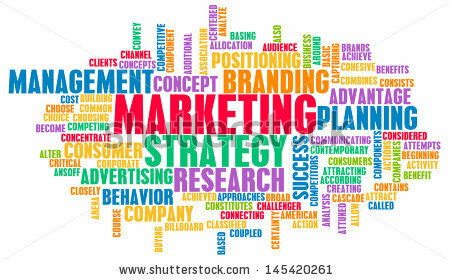 Drumrolls and finally enters the era of, “Marketing Concept” and formally arrives all the concepts of Branding, Targeting, Segmentation, Positioning, & all the rest myriad strategies & models that seemed more of a common sense, scribed in Black & White. But, If all that, were that obvious? Then why did they remain so unorganized and untapped for over 15 Decades of Industrialization? & Needless to say, Strategies and jargons are better, when put to use, than when being taught and thought over without experimentation and application in real life circumstances. & Just when we thought, we have reached the zenith of understanding and about to achieve the Carnot’s Cycle Engine Efficiency Benchmark. Voila, We have an all new model, “Consumer Oriented Concept” lurking to stir us from our gradual complacence and bliss of our newly acquired ‘Marketing Concept Model’. And as of now, it appears to be the magic potion, that if put to use properly can cure all the ailments of Marketers of the world. Researching for the consumer’s need, and integrating human psychology to build products or services that can fill the gap they always felt but failed to describe. Teenager’s today are connected 24*7 to the information superhighway. And The Pizza Generation is usually too lazy to visit the brick and mortar stores for all practical purposes, therefore the boom in E-Commerce Sector of India, Now recharging one’s phone is one such activity that doesn’t require much testing unlike trying out a Saree or Gown, so virtually one wouldn’t have any preference over where to get one’s phone recharge from. But Every Brilliant Opportunity comes coupled with a threat, so First Teenagers in India aren’t usually given Credit Cards, and Even Debit cards are usually endowed to those living away from their homes. So we have a company called freecharge, which recognizes the needs, the gap and the temptations for today’s youth. And it wouldn’t take a BCG Matrix to find a brilliant solution to the obstacles. 1. We have freecharge credits for those who don’t have their own debit or credit cards, so they can borrow from their parents in advance and deposit into their freecharge credits and recharge as and when they feel like without moving an inch from their beanbags. 2. Now what can be more lucrative than getting discount on something that no single shop will ever offer, so we have freecharge points to add credit whenever an account holder shops from any of the allied e-commerce stores above a certain limit, he gets 5-10% back as recharge credit balance on it. 3. Generation X has already borrowed the love for Pizzas and Pastas along with their taste in Rock Music from the western world and hence an incentive like heavy discounts on Popular MNC Food Chains like McDonald’s, Domino’s and Pizza Hut would be an incentive that hardly a few would be able to resist. So now we have built a million dollar company with an inventory that includes a high speed secure server, a tie up with Telecom Companies and many Retail Chains and other E-Commerce stores, in less than HALF a Decade. Providing Cheapest, Genuine and high quality Products BUT failing to deliver them on time or causing inconvenience to customer in return process in case of faulty product delivery, could drag down a brand as big as Flipkart or Amazon to crumble. The perfect model with zero or negligible scope of improvement, save extensive implementation? Too Soon to predict. that can make him yearn for the researched product that intrinsically and instantly appeals & promises to troubleshoot all his problems and satisfy all his needs.